In this study, experimental demonstration of a static Fourier transform spectrometer (static-FTS), based on division of the spectrum into multiple narrowband signals, is presented. 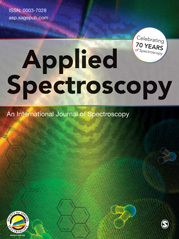 The bandpass sampling technique used in this novel spectrometer solves the Nyquist sampling rate limitations and enables recording of wideband spectrum in high resolution. The proposed spectrometer not only has the potential of operating in a wide spectral range, but also has a resolution potential better than 2 cm−1.